A group of a dozen Dutch and Belgian experienced observers had organised a starparty end of September, an hour over the French border to seek dark skies for “genuine” deepsky work. We had a splendid weekend with three clear skies, many exceptional observations and beautiful memories that were taken back home. The Local Member galaxy IC 342 is quite a challenge – even for experienced observers, since it has a very low surface brightness of 14.6 over a total surface of 20 arcminutes. This observation was made under those good dark conditions and took more than an hour to screen the entire field of view for faint details. 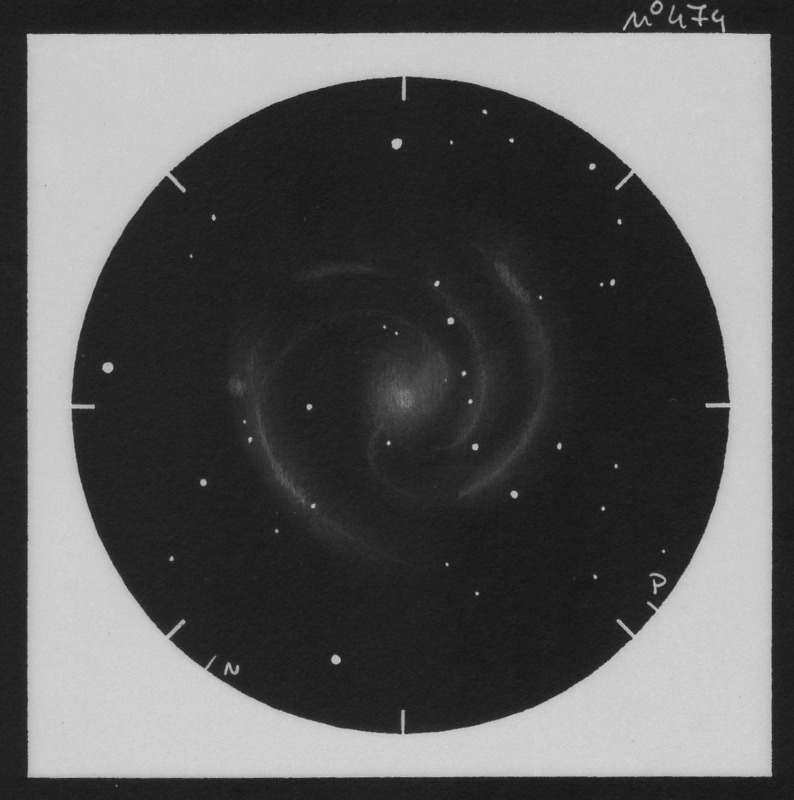 Direct observation only visualised the bright core of the galaxy with a hue of nebulosity over the entire field of view. A quite noticeable chain of 6 bright stars lies southwest of the core. Averted observation finally resolved the faint spiral arms of this galaxy and several bright HII regions became visible. I hope you enjoy the sketch! Terrific job, Tom, that’s an outstanding detailed sketch of a really faint object. Congratulations on you patience and talent. Absolutely beautiful sketch! This one is frameable artwork! Fantastic sketch! An admirable work indeed! That a very hard task you did! Great job.